In the summer of 2016, my brother, Dylan Reed, and I were trying to figure out what the “next” prank would be after we wrapped our parents car with a zebra pattern. We wanted to make sure that it was a really great prank and something that was more permanent. The issue was: What would the monument say? Well, we figured the best thing to celebrate was our amazing life and our “boyhood home”. It is really awesome and helps identify what an important place our parents house is. 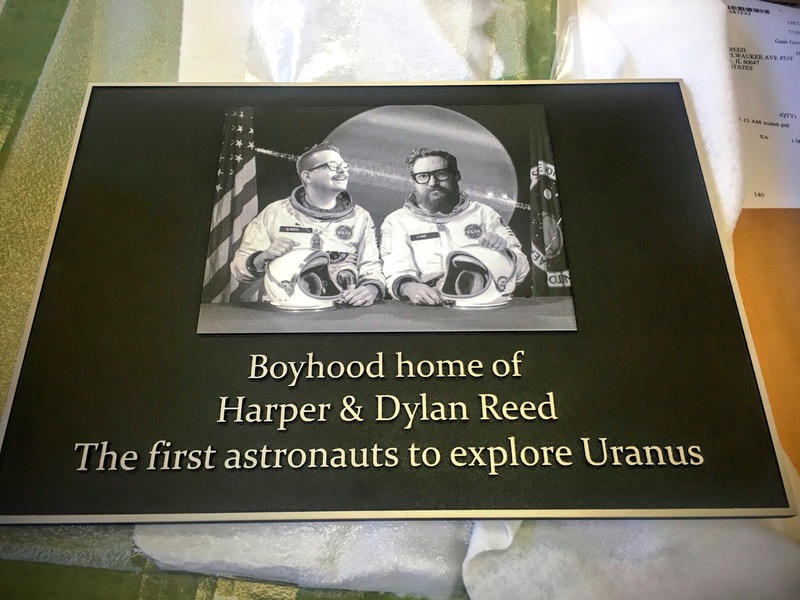 The full text reads: Boyhood home of Harper and Dylan Reed. The first Astronauts to explore Uranus. We really should double check our work before we set it in stone. so to speak. Our wonderful parents for not killing us, again. Our wonderful partners (Sarah and Hiromi) for not ratting us out and dealing with the crazy REED boys, again. 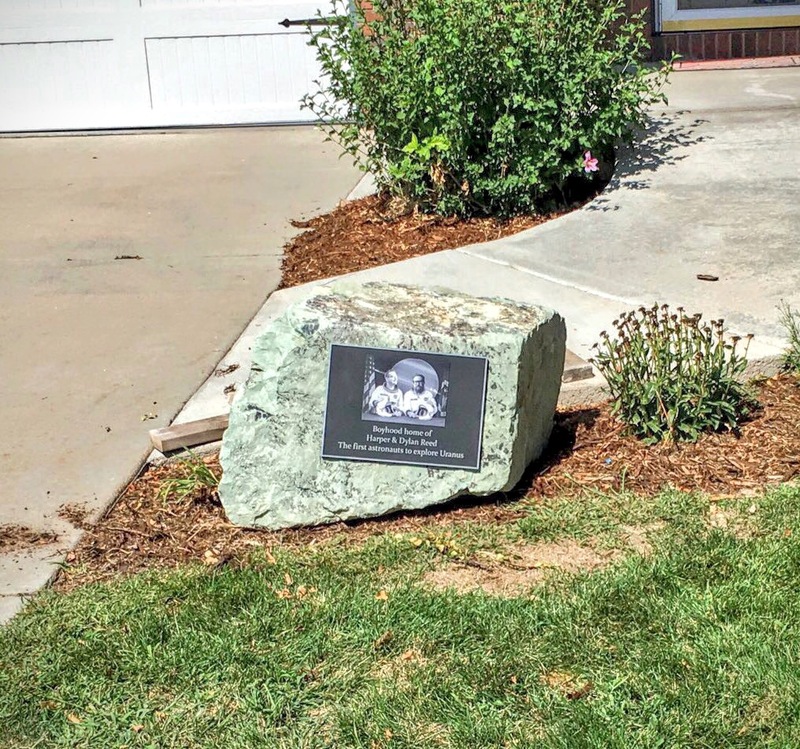 Greeley Monument Works for doing an amazing job finding a rock and mounting our plaque. © Summer 2016 @harper and @dylanreed. Site generated @ Jun 7, 2018.